"Preserve & Protect" the Jack Russell Terrier -- What Does it Mean? You may have heard this phrase used by the Jack Russell Terrier Club of America (JRTCA), or by another JRT owner. You may also have heard that the JRTCA, and many JRT clubs of the world that make up the JRT United World Federation network, are adamantly opposed to kennel club registration of the Jack Russell Terrier. You may wonder why we die-hard Jack Russell enthusiasts are so adamantly opposed to kennel club registration, and what we mean by "Preserve & Protect." We believe that kennel club registration is in direct opposition to our goal to Preserve and Protect. 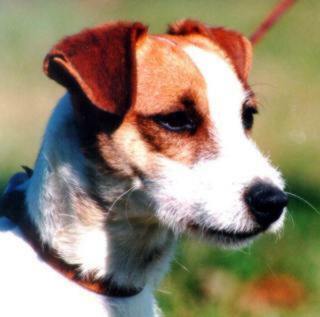 We are fiercely protective of this working terrier, and strongly believe that the breed is best protected and preserved by the original JRT clubs, in the U.S. and throughout the world, that have preserved this unique working terrier for so many years. In reality, it is the working terrier men of England who have truly preserved this unique type of working terrier. It has been in their hands for nearly 200 years.... and has remained virtually the same all that time, which is truly amazing in itself. In the late 1800's, the "Fox Terrier" was "recognized" by the British Kennel Club. What was the original "Fox Terrier?" It was none other than what we know today as the "Jack Russell Terrier." The modern-day Fox Terrier is a far cry from that original fox-working dog first "recognized" in the late 1800's. It certainly was not "preserved," and today's Fox Terrier is no longer structurally suitable to hunt fox. However, the working terrier men of Great Britain continued to breed their terrier for work, not for show, and didn't register them with the kennel club. Thanks to them, we still have that very same dog. It still has the same physical structure, and the intelligence and character for which it is so renowned. So, when we say preserve and protect, that's exactly what we mean. To keep the tradition handed down to us by those working terrier men of the past 200 years... to preserve this terrier. To protect it from change. To keep it working. To see that this hardy little working dog, with its extreme intelligence and big heart, will be the same for another 200 years to come. Why did the original fox terrier change into the structure of today? Was it the "kennel club" that did this? Or was it the breeders? And why?? All of those are very good questions, upon which we can only speculate. Kennel clubs do not breed dogs, of that we are sure. It is no doubt breeders who change a breed... revise the standard, inbreed to achieve physical changes, and so on. Why? Who knows. It is truly beyond our comprehension why someone would want to change the lovely and functional original fox terrier, known today as a Jack Russell. Obviously none of the structural changes had to do with the dog's ability to it's job. These changes would greatly hinder a working terrier below ground  if they could in fact get there. So why then? We can only assume that they were gradual "whims of the show ring" over the years, sadly completely changing an animal into something else entirely. So why do we oppose kennel club recognition? Not because we have anything against the kennel clubs, but because we value the worldwide JRT clubs' dedication to the preservation of this great terrier and feel that it where it belongs. Because it is not a "pure breed." It is a type of working terrier, and its wonderful character, intelligence, and structure need to be protected if it is to remain unchanged. 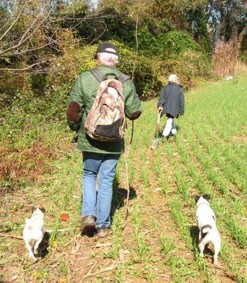 It needs to be in the hands of registries and clubs who are willing to recognize the terrier for what it is  a working terrier, a wonderful companion, a greatly varied "type" of working dog within a very broad working standard. It is NOT a show dog. It does not belong on the "bench." It belongs in the field. Do we enjoy showing our terriers? Of course we do -- as long as it's kept in the proper perspective. There are JRTCA Jack Russell Terrier trials throughout the country  which are geared towards protecting and preserving the working Jack Russell. JRTCA judges, and all judges for the JRTUWF clubs of the world, are working people who have real experience in the field. Today we see an AKC registered "Parson Russell" (the taller version) and soon to be a "Russell Terrier" (the shorter version). We hear about "miniature Jack Russell" and various crosses. These are variations of the original Jack Russell Terrier -- that suit the whim of those enthusiasts who prefer a specific type. We support the REAL Jack Russell Terrier, which encompasses a broad breed standard, through the Jack Russell Terrier Club of America and the Jack Russell Terrier Club of Great Britain -- the original breed clubs for the Jack Russell Terrier in the USA and England. Do not be confused by all the new terms... be sure that you understand the REAL Jack Russell Terrier! Презервативы, парфюмерия секс шоп adult-toys.su . крупные интим магазины в москве вагинальные шарики интернет магазин . Диваны и кресла! День Рождения: магазин мебели. магазин мебели. Недорого.